This sterling silver ring is an exact replica of a Roman style votive offering found at Newgrange, Co. Meath. The original is on display in the National Museum of Archaeology, Dublin and dates to the 4th Century AD. 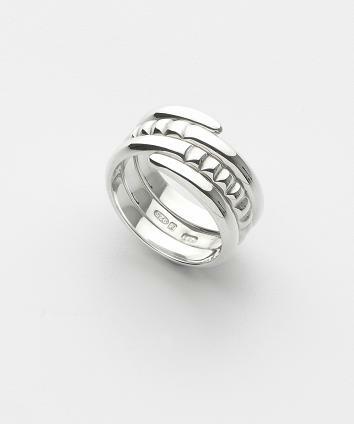 The ridged design is hand carved into the silver. Available in Sizes H (U.S. 4) and upwards.